Hello! Hope you're week is going well! 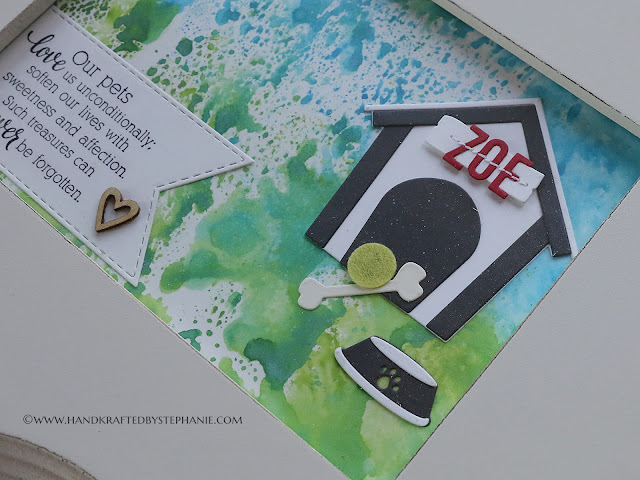 Today I'm sharing a framed item that I created for Bella's (our pup) groomer. Bella isn't particularly high maintenance, but she does require grooming every couple of months. 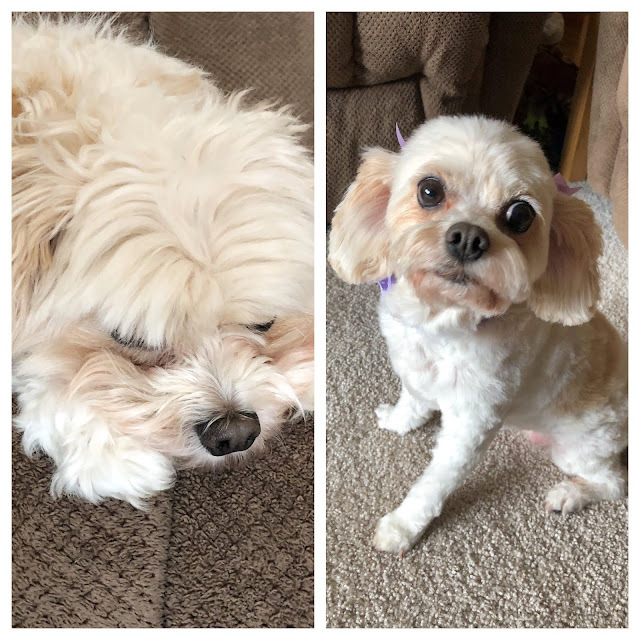 Shannon always takes such wonderful care of her, giving the best haircuts and pampering, even though Bella absolutely hates going to her bimonthly appointments. Recently, Shannon had to say goodbye to her sweet dog, Zoe, who I know was a big part of her life and there for so many big life events. My heart breaks for anyone who has to say goodbye to a fur baby, as they are such an important member of a family unit. 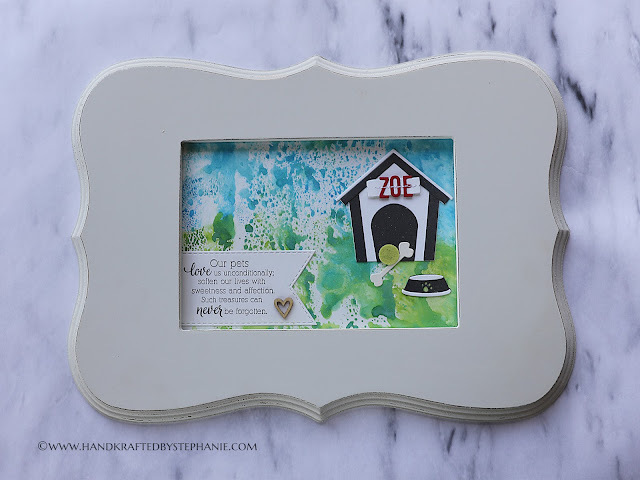 I made this framed gift for Shannon to remember the joy that Zoe brought to her family. 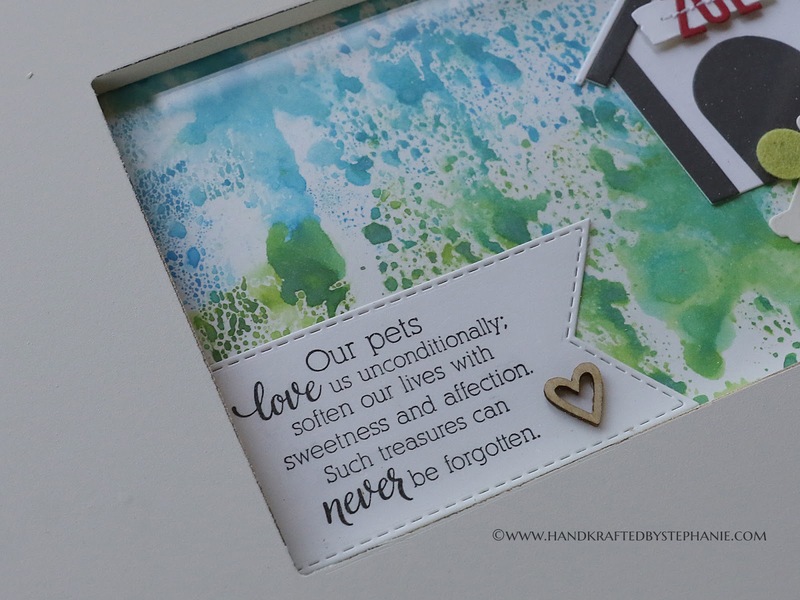 I started with a We R Memory Keepers frame that I had in my stash, and made the insert. I started with a 5x7 piece of Strathmore Bristol paper and smooshed a few colors of Distress Oxide inks to make a messy sky/grass background. Once this was dry, I added the doghouse scene using Taylored Expressions Build a Doghouse and Doghouse Accessories. The sentiment was stamped using Care & Comfort - Pets. I left the space above the sentiment empty in case she wants to add a photo. Here's a closer look at the doghouse scene. All of the elements were die cut out of cardstock, except the tennis ball, which was die cut out of felt. I added her name using Mini Caps Alpha & #'s, stitching it on to the sign. To see her remarkable transformation, here's a before/after grooming photo of Bella!